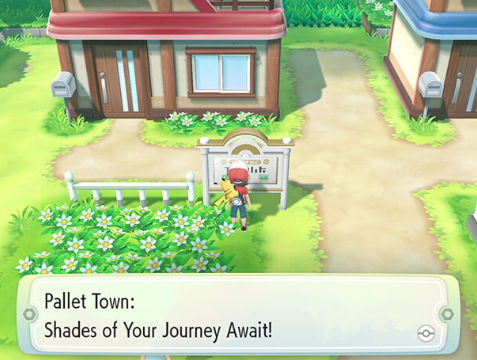 Pallet Town is your character's home town, but as an area in the game, it doesn't have much to it. Outside of being the place where you obtain your Starter Partner Pokemon, not much more will happen here. You will have the first battle against your Rival in Pallet Town when you return from Viridian City - which will be shortly after your adventure begins - and you will also obtain a number of rare Items in Pallet Town later on in the game. Pallet Town has no Wild Pokemon within it.